Meghan and Harry are pregnant! Kensington Palace made the official announcement Monday morning. Rumors were swirling that Meghan Markle was pregnant over the weekend when she attended Princess Eugenie’s wedding. People thought her dress was hiding a bump. Meghan and Harry told the Royal Family at the wedding. Meghan is due next April and the child will be seventh in line for throne. The baby won’t be prince or princess unless the Queen decides to offer those titles. 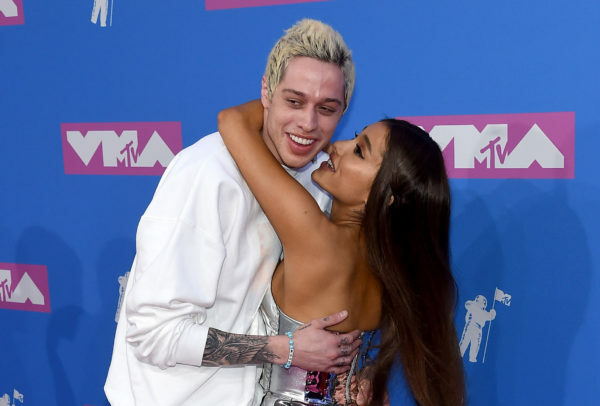 Ariana Grande and Pete Davidson have called off their engagement. It was reportedly a mutual decision, but Ariana pulled the trigger. They felt it was “too much too soon” and the timing wasn’t right. The two were together six months. Ariana is reportedly still struggling with the loss of her ex, Mac Miller, but there were some other signs of trouble. Pete covered his Ariana tattoo. He recently went on Howard Stern and said he was “back on weed” after previously going to rehab for it. Drake is opening up about his baby drama. Drake was on LeBron James’ HBO talk show “The Shop” on Friday night. Drake claims Kanye tricked him into opening up about his secret son and then used the information to make Pusha T’s diss track. Drake said he recorded a reply but decided to shelf it. The song apparently had “terrible things” in it that he doesn’t want to be remembered for. Kanye is back on social media after taking a one week hiatus. He posted a nine minute rant over the weekend he titled “Mind Control”. Kanye said: “I am the best living recording artist. We, rather, because the spirits flow through me”. Justin Bieber has reportedly reached out to Selena Gomez’s mom and wants to see her. Selena had an emotional breakdown last week and is currently undergoing treatment. The post HOT TOPICS RUNDOWN: October 15, 2018 appeared first on The Wendy Williams Show.